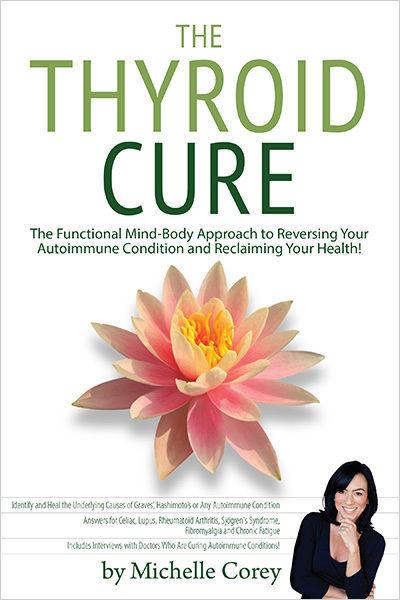 The functional mind/body approach introduced in The Thyroid Cure is backed up by the latest research in functional medicine, immunology, psychoneuroimmunology, epigenetics, nutrigenomics, toxicology and environmental studies. We have included the endnotes online for easy reference. Myers, RL and Myers, RL. The 100 most important chemical compounds: a reference guide. Westport, Conn: Greenwood Press. 2007. Department of Health and Human Services. Third National Report on Human Exposure to Environmental Chemicals. Atlanta, GA: Centers for Disease Control and Prevention; July 2005. Yi J, Cao J. Tea and fluorosis. Journal of Fluorine Chemistry 129:1976-81. (2008). Ryan RM, Weinstein N, Bernstein J, Brown KW, Mistretta L, Gagne´ M. Vitalizing effects of being outdoors and in nature. Journal of Environmental Psychology 30 (2010) 159–168. http://www.researchgate.net/publication/228478393_Vitalizing_effects_of_being_outdoors_and_in_nature/file/32bfe513dd5917a305.pdf. Dan Lukaczar, ND. 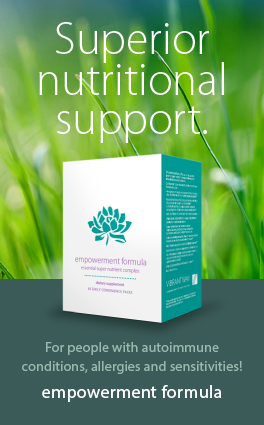 The “4” R Program. Textbook of functional medicine. Institute for Functional Medicine; Second edition (2010) Page 468. Van Konynenburg, R.A. Glutathione Depletion—Methylation Cycle Block, A Hypothesis for the Pathogenesis of Chronic Fatigue Syndrome. Poster paper, 8th Intl. IACFS Conf. on CFS, Fibromyalgia, and Other Related Illnesses, Fort Lauderdale, FL, January 10-14, 2007. University At Buffalo. Researchers Show Chronic Sinusitis Is Immune Disorder; Antifungal Medicine Effective Treatment. ScienceDaily. www.sciencedaily.com/releases/2004/03/040324072619.htm (accessed March 2, 2014). Ledezma E, DeSousa L, Jorquera A, et al. Efficacy of ajoene, an organosulphur derived from garlic, in the short-term therapy of tinea pedis. Mycoses. 1996 Sep-Oct;39(9-10):393-5. Mohanty SS, Raghavendra K, Dash AP. Influence of growth medium on antifungal activity of neem oil (Azadirachta indica) against Lagenidium giganteum and Metarhizium anisopliae. Mandalà M, Colletti V, Sacchetto L, Manganotti P, et al. Effect of Bluetooth headset and mobile phone electromagnetic fields on the human auditory nerve. Laryngoscope. 2013 Apr 25.